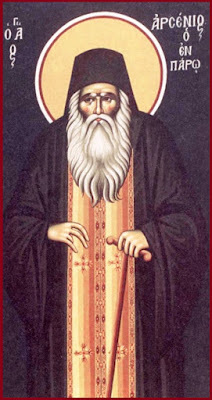 St. Arsenios of Paros resurrects a baby girl! In Belgium lived for many years the sister of Gerontissa Arsenia, where she had a family, and her granddaughter was made worthy 5 months ago to become a mother. "God is wondrous among His Saints!" 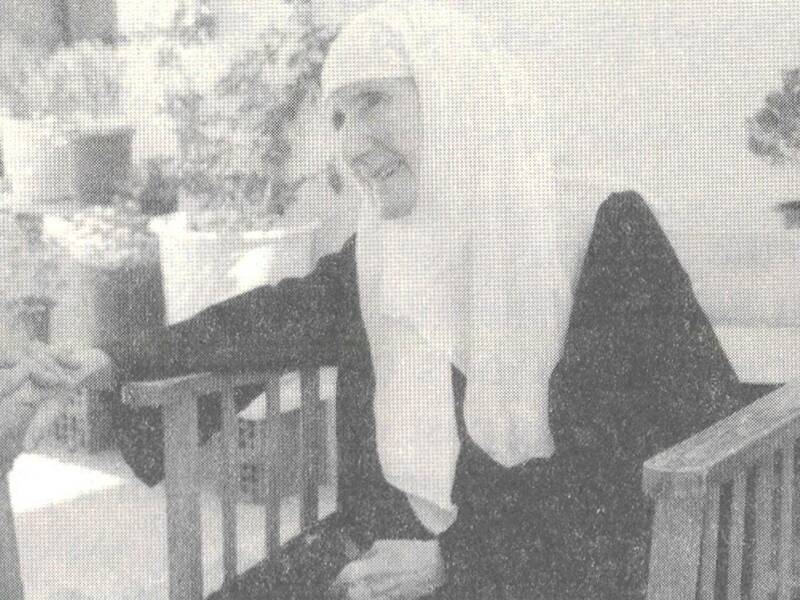 Mother Gavrielia: "If you have love for the whole world..."
"If you have love for the whole world, the whole world is beautiful." 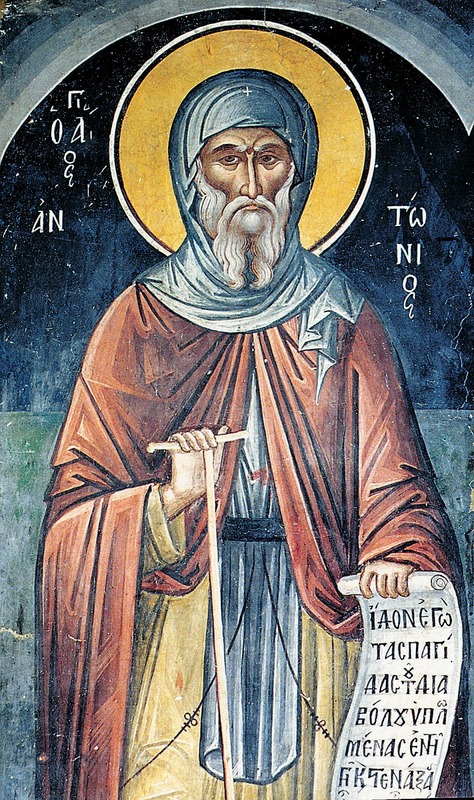 "The angel upon the earth, and man of God in the heavens..."
The angel upon the earth, and man of God in the heavens, the adornment of the world, and the nourishment of good things and of virtues, the boast of Ascetics, let us honor Anthony. For he was planted in the house of God, and blossomed righteously as a cedar in the desert, and multiplied the flocks of the rational sheep of Christ, in holiness and righteousness. Elder Ephraim of Arizona: "Who ever hoped in God and was put to shame?" “Why are you sorrowful and glum while walking along the way of God? Those who have forgotten God, who have no hope in the living and eternal fountain of God, should grieve. But we, who believe in the living God and whose hopes depend upon Him, ought to rejoice that we have such a Father in the heavens, Who loves us more than all fathers and mothers and Who takes infinite care to render us worthy of Him. But, you say, we fall every moment! Yes, I do not deny it—but we know that our nature is from clay and that it desires the earth and seeks what is base, for “the mind of man is inclined to evil from his youth.” (cf. Gen. 8:21 ). And we see within us a law which seeks to capture our free will, to subjugate it and render it a slave of sin. (cf. Rom. 7:23 ). In all this, however, our good intention triumphs. God has given us spiritual weapons to fight against every satanic attack: the glorious banner of the cross of hope—living hope in Him Who said, “I will never leave you nor forsake you” (cf. Heb. 13:5 )—hope in our Christ, who was hanged on the Cross, and all who look upon Him and hope in Him will not be put to shame. The all-immaculate Blood which was poured out on the Cross pardoned the sins of mankind and poured forth life. “Blessed is the man who hopes in Him.” (cf. Ps. 33:8 ). “Repent, for the kingdom of heaven is at hand!” Man, and even the very best Christian, has the inclination to order himself interiorly so that he creates a system. From a spiritual perspective this is death, because the system does not allow you to benefit spiritually. 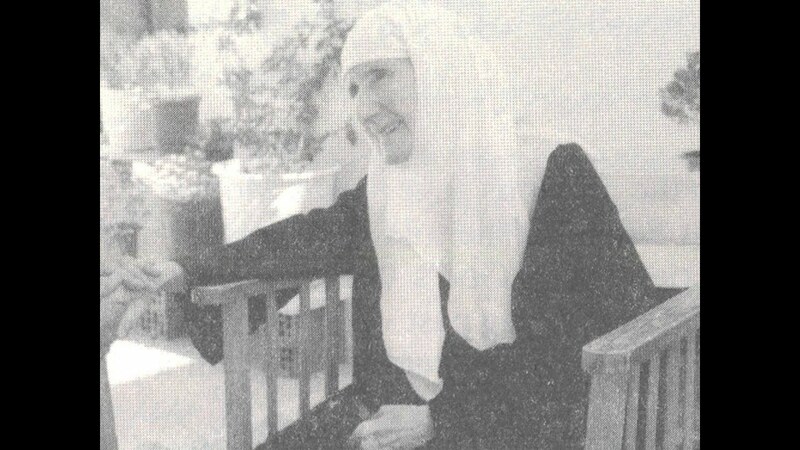 Repentance means an overthrow of the system, so that nothing remains standing; it means a change of mind, of outlook, of thoughts, a change of our entire being. We need to leave behind our mindset of “belonging” to ourselves, and living the way we want –in which case our only concern is how to maintain a fake relationship with God– and we must return fairly, honestly, and truly to God. The kingdom of God is not going to come to our souls, nor are our souls going to enter into the kingdom of God, if we do not repent. The point is for the grace of God to begin to flow in our souls. And this can take place within us through the most habitual things. That is, just by saying our prayers: Our Father, Lord have mercy, etc. However, one needs to keep doing, to insist on these familiar practices, until the springs of heaven open. To make a start in repentance means: I will rise in the morning and stand before God as though it’s the first day of my life, but also as though it’s the last. I will stand humbly, in prayer and trusting myself to God, waiting for Him to have mercy on me. And, O the wonder, the hour will come when our souls will open, and we will live the true internal repentance and we will feel what it means to have communion with God. The following is a translation of a beautiful and theological Greek carol (i.e. 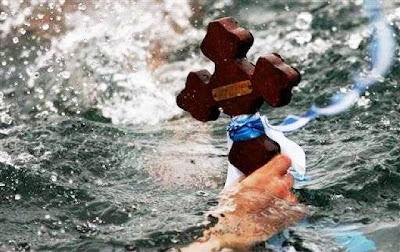 non-liturgical) from Pontos in Asia Minor, that was sung around the feast of Epiphany or Theophany on January 6th. It matches in its poetic pattern the famous Byzantine Christmas Carol "The Beginningless God descended...", and is sung with a similar melody. May our Lord grant us all an illumined and blessed new year! Γηγενείς, σκιρτάτε και χαίρεσθε, τάξεις των Αγγέλων, ευφραίνεσθε. Δόξα εν υψίστοις εκραύγαζον, Κύριον και Θεόν ομολόγησαν. Έλεγεν ο κόσμος τον κύριον να αναγεννήσει τον άνθρωπον. Ζήτησον και σώσον το πρόβατον, το απολωλός, ω Θεάνθρωπε. Ήλθε, κηρυττόμενον έβλεπε, απορών εφάνει ο Πρόδρομος. Θες μοι την παλάμην σου, Πρόδρομε, βάπτισον ευθύς τον Δεσπότην σου. Ιορδάνη ρεύσε τα νάματα, ιν’ ανασκιρτήσει τα ύδατα. Κεφαλάς δρακόντων συνέθλασε των κακοφρονούντων ο Κύριος. Λέγουσιν οι Άγγελοι σήμερον, ο Χριστός τον κόσμον εφώτισεν. Μέγα και φρικτόν το μυστήριον, δούλος τον Δεσπότη εβάπτισε. Νους ο Ιωάννης ο Πρόδρομος μέγας, να βαπτίσει τον Κύριον. Ξένος ο προφήτης ο Πρόδρομος, μέγας, να βαπτίσει τον Κύριον. Ρείθρα Ιορδάνη, αγάλλεσθε, την πορείαν άλλως λαμβάνετε. Σήμερον ο κτίστης δεδόξασται δι’ αυτό το μέγα μυστήριον. Τρεις γαρ υποστάσεις εγνώκαμεν, Πατρός και Υιού και του Πνεύματος. Φως γαρ τοις σκότει επέλαμψε, όταν ο Χριστός εβαπτίζετο. Χαίροντες και χείρας προσάγοντες και λαμπράν πανήγυριν άδοντες. Ο Θεός των όλων και Κύριος δώη σας υγείαν και χαίρετε. In truth, he baptized the King, and confessed Him to be the Son of God. Those upon the earth, dance and be glad, rejoice, O ranks of the Angels. "Glory in the highest", they cried, confessing the Lord and God. The world asked the Lord to give rebirth to man. "Seek out and save the sheep that was lost, O God-man." He came, secretly, and saw, and appeared to the homeless Forerunner. 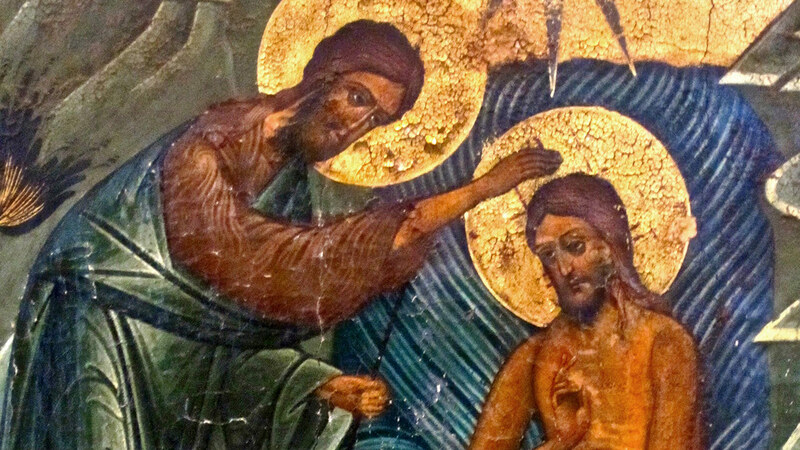 "Give me your hand, O Forerunner, straightaway baptize your Master." 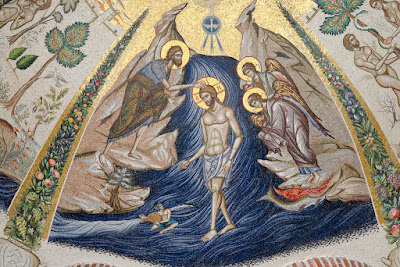 O Jordan, pour forth your streams, that the waters might dance and turn back. The Lord crushed the heads of the dragons and those of evil mind. The Angels say today, "Christ has enlightened the world. O great and awesome mystery, That the servant baptized the Master." John the Forerunner, the great nous, is here to baptize the Lord. 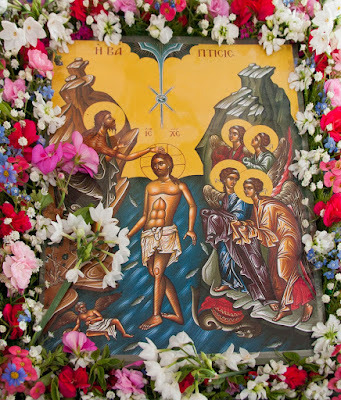 A strange and great prophet is the Forerunner, who is here to baptize the Lord. All those of Adam He has called back, the Creator of all and the Lord. O Panagia, Lady of all, save those who ever venerate you. 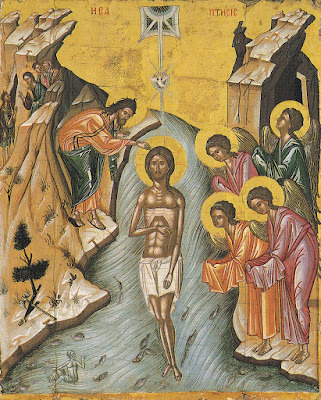 O streams of the Jordan, rejoice, but receive a new course. Today the Creator is glorified through His great mystery. Hymned by the Archangels, and glorified by the Seraphim. 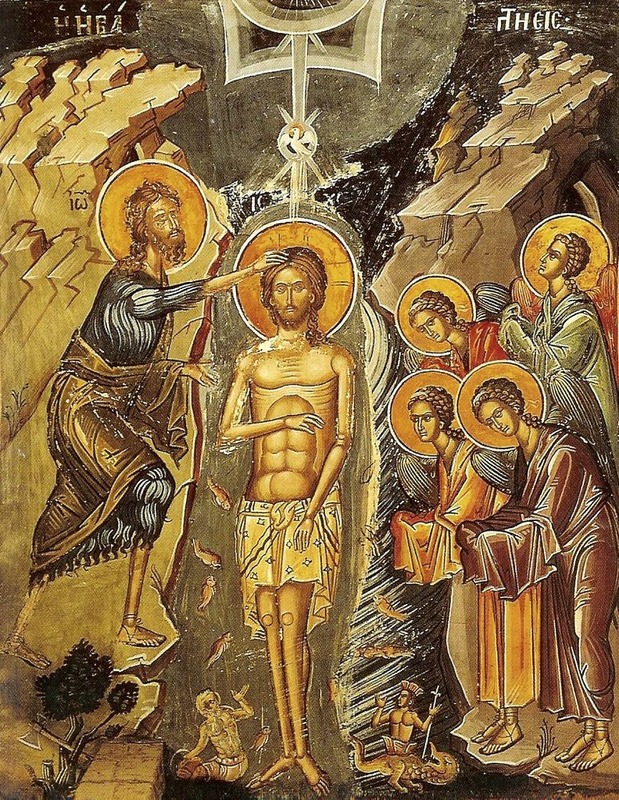 Light has shown forth for those in darkness, when Christ was baptized. Let us rejoice and lift up our hands, and celebrate this radiant feast. Chanting unto Christ our God, receiving the cleansing of baptism. May the God of all and Lord, grant unto you health and joy. 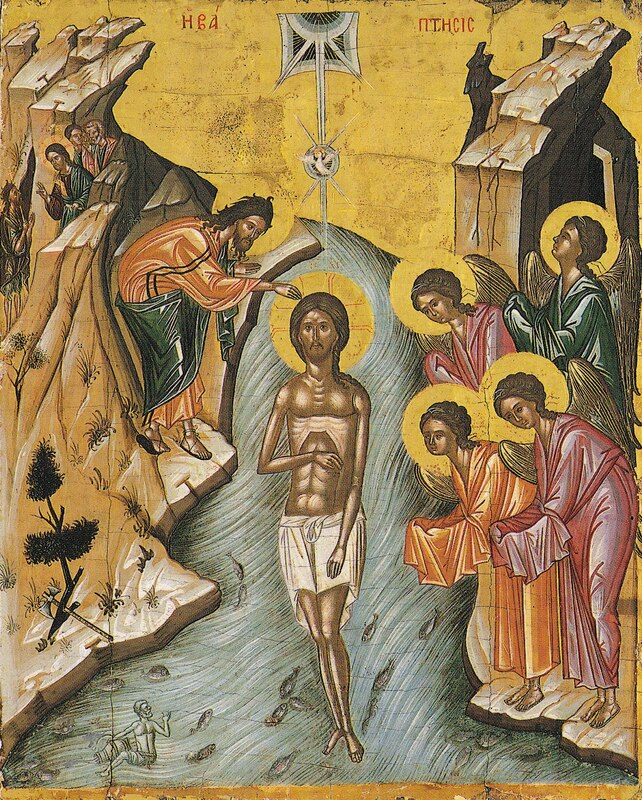 "You put on the waters of the Jordan, O Savior..."
You put on the waters of the Jordan, O Savior, You Who array Yourself with light as with a garment, and You inclined Your head to the Forerunner, You Who count heaven in palm of Your hand, in order to return the world from error, and to save our souls. 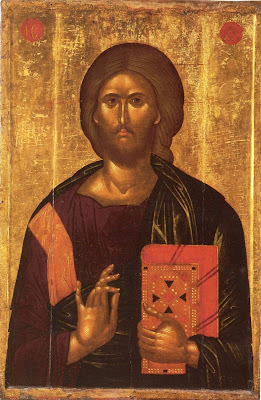 -Doxastikon of the Praises, Matins of Holy Theophany, by Anatolios.